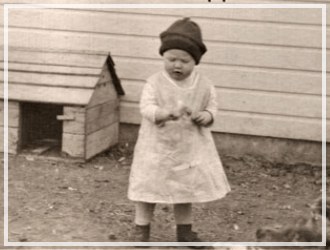 You are here: Home / Homesteading / Chickens / No Eggs. Big Problem. A Watched Chicken Never Lays? 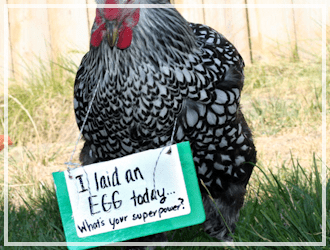 Folks, raising chickens is all about the eggs. And I ain’t got no eggs. 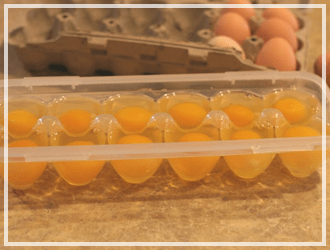 All the guides say that chickens begin laying eggs from 4 to 6 months old. Well, two of my lovely chickens are now 4 1/2 months old and still no eggs. The anticipation is literally killing me. I check multiple times a day. I added in these wooden eggs so they know where to lay when the time is right. I sing to them. I even talk baby chicken talk to them…and still no eggs. I am worried that my chickens are the ones who wait until 6 months to start laying. Do you think it’s just too hot? The chickens have been getting noisier though. Yippeee (said sarcastically). The past few days I have heard some loud squaking coming from the coop. As soon as I hear it I come a runnin’ thinking…”Oooooh…is she laying an egg?” Nope. She is just being noisy. I am worried the neighbors can hear the squak noises and are silently grumbling. I know, a watched pot never boils. And for this reason I am sure a watched chicken never lays. I should just calm down and stop checking so often…but I am just too excited! It’s like a little kid at Christmas…waiting for my special present. Sigh.. Okay enough about those eggs. Lets talk about how the chickens are looking and growing. These girls are getting plump! 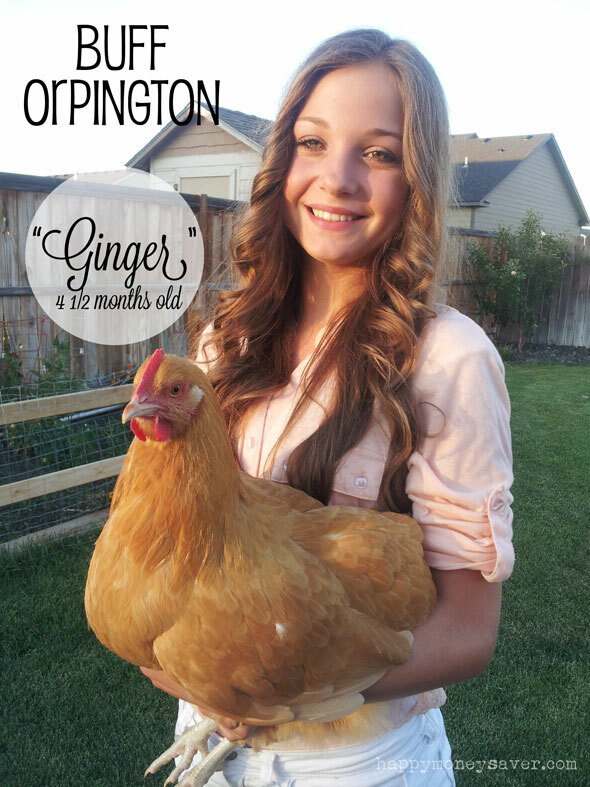 This is my daughter holding Ginger the Buff Orpington. 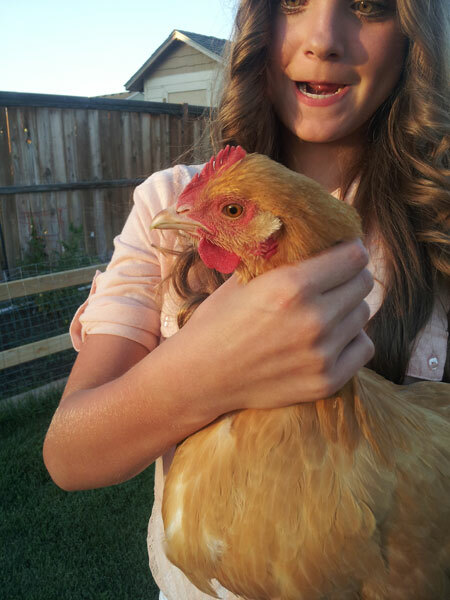 I had to enlist the help of my kids to hold the chickens so I could actually take a picture of them. As soon as I bring out the camera the chickens take off runnin’. And all I get are shots of them running away or bums in the air. Ginger the Buff Orpington is our most tame and gentle chicken. I can literally just walk right up to her and she will let me pet her back feathers and pick her up. All the other chickens run away when my hand gets close. This is why Ginger holds a big spot in all our hearts. We all adore her. 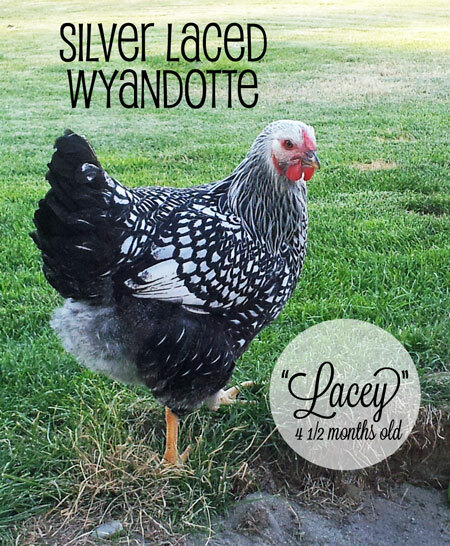 Lacey our Silver Laced Wyandottte is probably our most beautiful chicken. Her feathers…just gorgeous! She is the biggest chicken of all so far and at the head of the pecking order. Her WATTLE is coming in nicely. 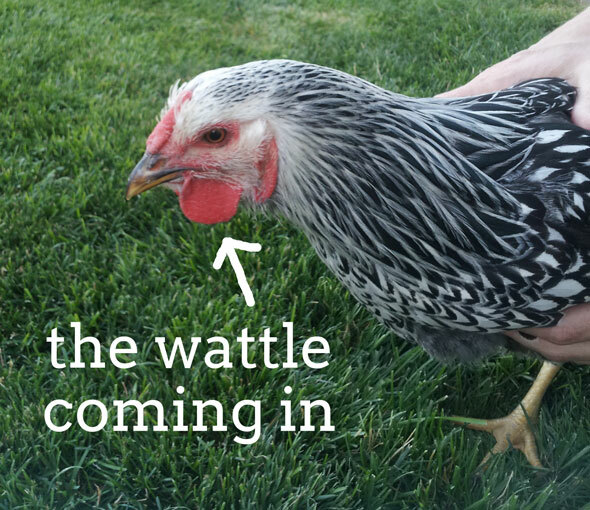 I used to think wattles on chickens were scary before I raised chickens. I have no idea why, but I didn’t like that red color. It looked weird. But now I think they are kind of interesting and cute. And I get to touch them too without screaming and running in the other direction. They feel like a human ear to me. Anyone else have a better way to describe how they feel? 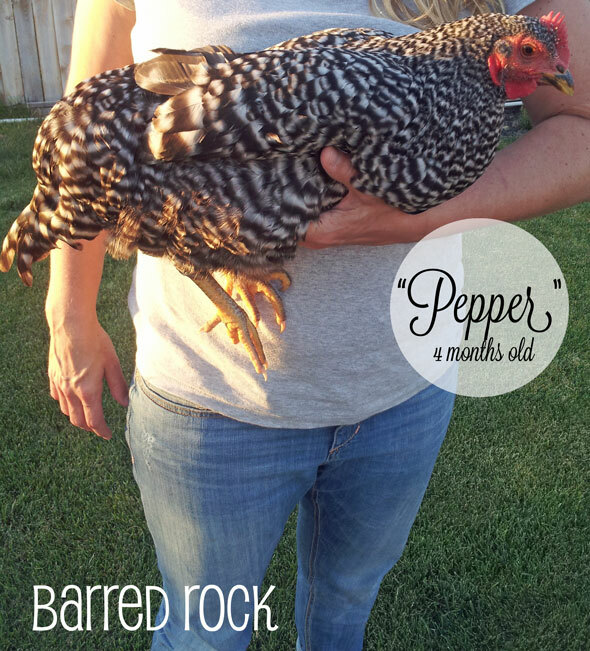 Pepper, our Barred Rock is still a very sweet girl. However I think she is at the end of the pecking order and doesn’t get to hang out with the other 3 “cool” kids as much. Most of us know what it’s like to not be part of the “in” group…it stinks. So every once in awhile I give her special treats. And I keep a close eye on her just in case too. 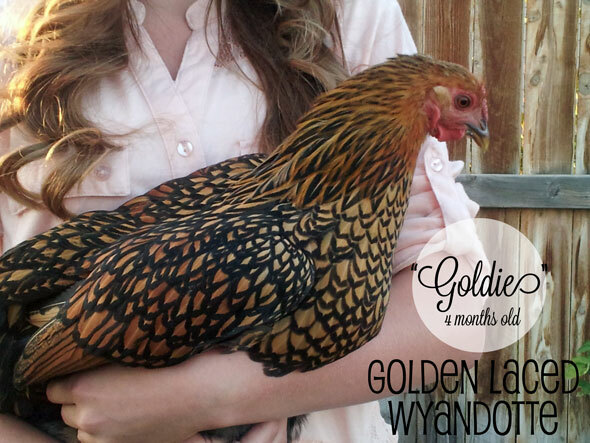 Goldie, our Golden Laced Wyandotte is also getting so beautiful! Love her colors – she is still our most timid and shy chicken. It’s hard to catch her, but once you do she is quiet and gentle. Overall I am still so very happy I made the decision to raise backyard hens. Even though I still don’t have eggs. Even though I have spent way too much on my chicken coop, and know that I will never be able to make enough eggs to pay for it, I am grateful for this learning experience for me and my family. I just wish those chickens would start laying those eggs! I have 6 hens, al 6 months old. 3 rhode island reds and 3 barred rocks. No eggs yet. Ugh. The anticipation is driving me crazy. Hey there: I’m a fellow homesteader/chicken lover (they are my evening entertainment while eating dinner)! 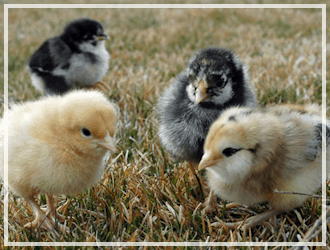 Don’t be discouraged–it IS hot and that can delay the start of egg-laying. You have chosen great varieties and once they begin, you’ll have more eggs than you know what to do with. Just be patient. I waited and waited and when that first egg came I was like a kid. Now I am getting 7 a day but have 13 hens. Some just take longer but oh the excitement of that first egg. Mine just turned 5 months this week and I’ve been waiting, waiting, waiting with no eggs. I was thinking that the heat had a lot to do with it too; or, they are just too young to lay yet. I have read that hens lay around 5-7 months. I have 29 hens here in Florida and they are Buffs and Rhode Islands…..they started laying at 5 months. Heat does affect them. When you get the first eggs, they will be small and what I did was mark them and leave them in the nests (more than 1) so they would get the idea. Have you checked your yard to see if maybe they are laying somewhere else? I’ve had that happen. 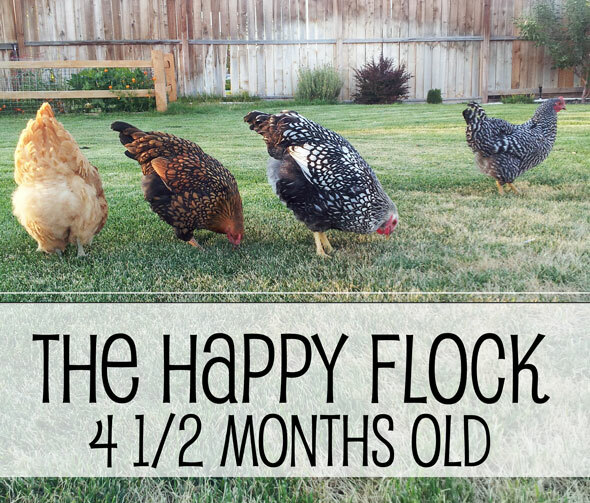 Also, I’ve been told that without a rooster (just got rid of ours, he was really mean) their laying life would be shorter….like maybe 2 1/2 years? Sooooooo every year we get 10 more baby chicks to add to the flock….not sure what to do with the old ones….right now I have 39 hens! The 10 new ones are just starting to lay very small eggs…the buffs. Hope that’s helpful to you. I sell my eggs to my church brothers and sisters, I get over 2 dozen a day! 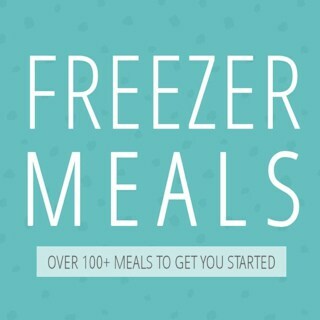 It gives me my pocket money for couponning. Thanks Rachelle for your encouraging words. Can’t wait! Heat. One of my 2 layers stopped laying for about 4 weeks due to heat. She just layed a normal egg today after laying a couple very soft eggs. Yeah! Oh good! Maybe now that its cooling down I might get a better chance of early eggs…crossing my fingers! I have been checking the yard, but don’t most chickens lay eggs around 10-2 ish? I usually make sure they are cooped up during that time. Each chicken is different. Many chickens, least mine did, lay early in the morning – mine by 7 AM. 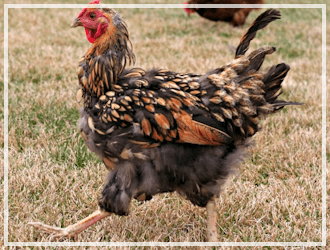 Chickens will always lay at the same time each day because of their ovulation cycle. So if you have one chicken laying at 10 AM it’ll always lay it’s next egg around 10 AM. It’s possible they’re still too young. You can check their cloaca and see if it’s a bright pink or a pale pink. If it’s still a pale pink the bird is still too young. If it’s a brighter pink then the bird should be laying eggs or is close to being ready to lay eggs. I’d rule out that they’re not laying eggs by confining them for a few days in their pen. Thanks Yasmin, my husband just sprinkled fertilizer down, so they will have to remain in the coop for a few days for sure. I will check that nesting box each day…crossing my fingers it happens soon. 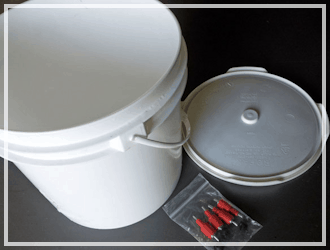 Chickens typically stop ovulating by 3 PM thus will not lay after 3 PM the next day so if you’re finding eggs after that time it just means the eggs were laid earlier in the day. If these are fresh and the shells are still soft then there is potentially a health problem with the chicken and that her internal clock is out of whack. 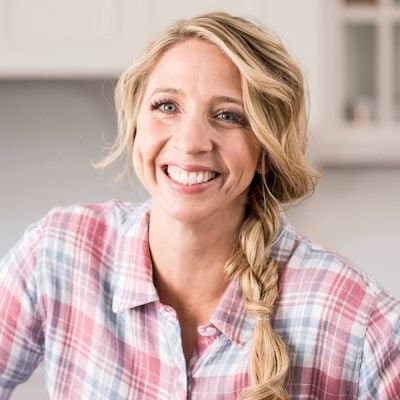 Easiest fix is to put a light inside the coop that’s on a timer so the light turns on in the early morning hours in an attempt to reset her internal clock. Love it Trish!! Okay, so I will have to just be more patient I guess. It’s just so hard. Plus my mother got her chickens 3 weeks before me, but is located in the midwest. Her chickens have been laying for almost a month already, so I keep thinking mine should too. I totally feel your pain! We picked up 12 baby chicks in late February from a local feed store. We now know that we ended up with half roosters and half hens. Next time we will spend the little bit extra to get hens only. We are still waiting for eggs as well. We built a nesting box for them and are going crazy waiting for our little treasures! Oh no! Half roosters? What a major pain.